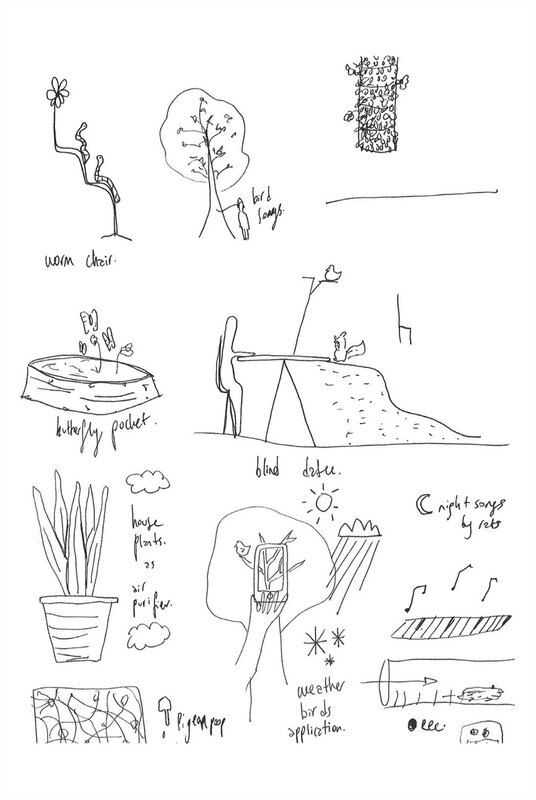 Turkish designer Rona Binay’s MFA Products of Design master's thesis, COEXIST: Mixing With Urban Wildlife, studies the relationship between city and nature through the lens of urban wildlife. A seeming contradiction, Rona’s embrace of urban/natural was triggered when she discovered footage of a coyote playing with a bottle on a frozen pond in Central Park. (Another fascinating example of urban wildlife is the peregrine falcon, which nests on high-rise buildings and bridges within the city.) Rona acknowledges that cities not only serve as living landscapes for humans, but also provision as habitats for many different species. Inspired by Natalie Jeremijenko’s argument that “This whole idea that we address environmental issues by not doing stuff just doesn’t work,” COEXIST aims to raise public awareness of biodiversity in urban areas and provide systematic solutions linking wildlife with urban through the application of design. Throughout the semester, Rona immersed herself in the literature and with subject matter experts, speaking with authors such as Hal Herzog (author of Some We Love, Some We Hate, Some We Eat: Why It’s So Hard to Think Straight About Animals) around ethics, scientists such as Jason Munshi-South on anticipated future urban wildlife, in addition to rooftop beekeepers, urban park rangers, urban wildlife enthusiasts and opponents, architects, landscape planners, designers, artists and speculative thinkers. 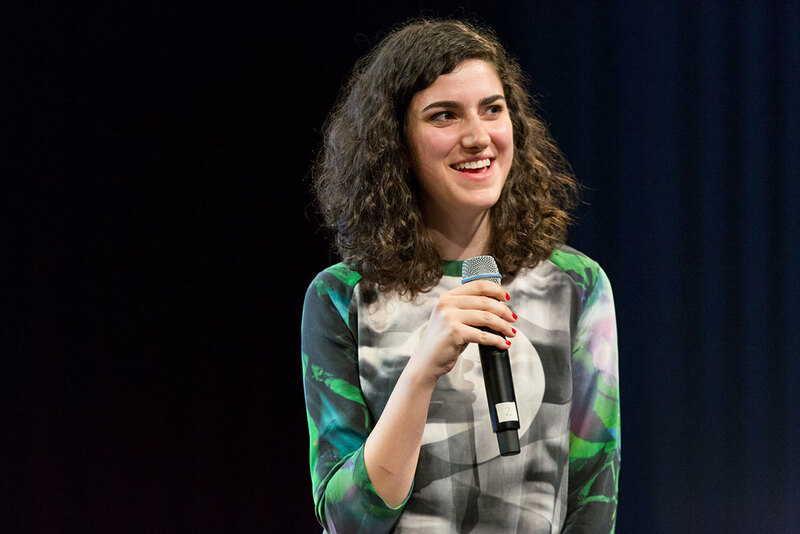 Working through mind-mapping, sketching, and prototyping physical as well as digital prototypes, Rona divided her offerings into two broad categories: Raising Awareness and Making Change; Ultimately, Rona’s intention was in shifting point of view. 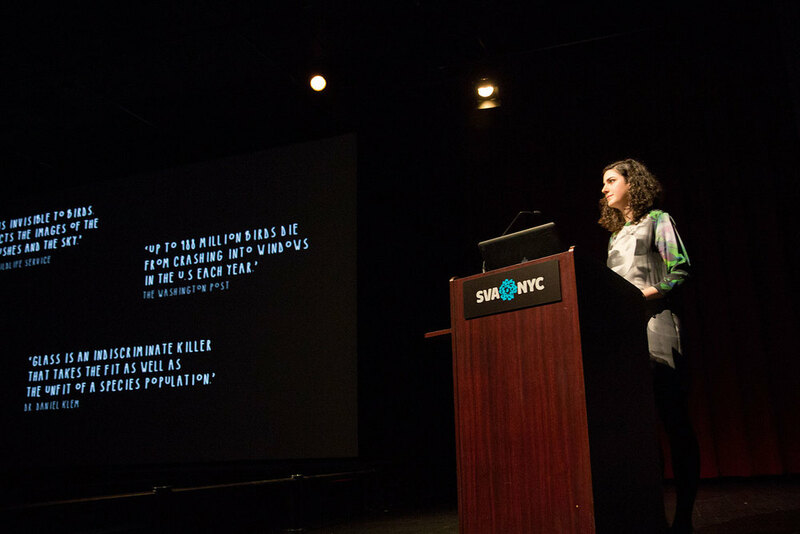 Within Raising Awareness, she developed two projects: Wildspotting, a digital interface, and Trace, an experiential installation. 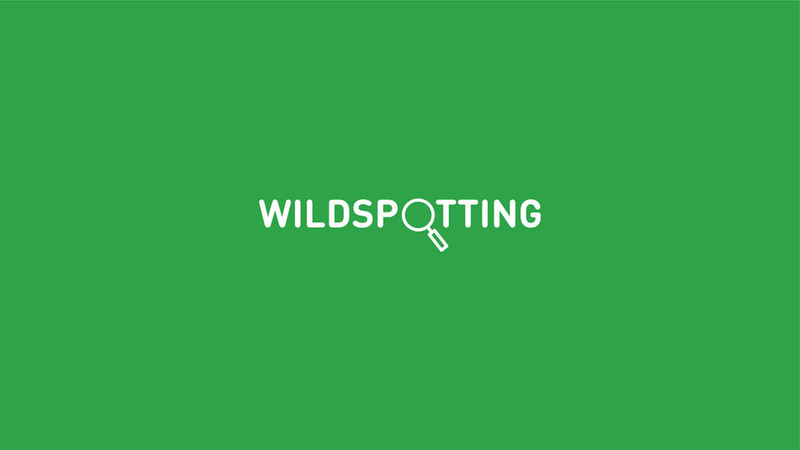 Wildspotting is a citizen-scientist mobile application which crowd-sources data around instances of urban wildlife in New York City. Users snap pictures of an urban animal they encounter, and upload them to the platform along with quantity and specific location (beyond geolocation data). Information aggregated from multiple users and different locations reveals hotspots of different species in the city, and future visitors to the hotspots receive pop-up notifications to help them become more conscious of site-specific urban wildlife and urban co-habition in general. Trace is a series of drawing stations that physicalize “present continuous time” by creating traces of real-life movements within the participant’s surroundings. The experience centers around observing living beings in real-time, filtering through body movements and resulting as line drawings on a shared canvas. 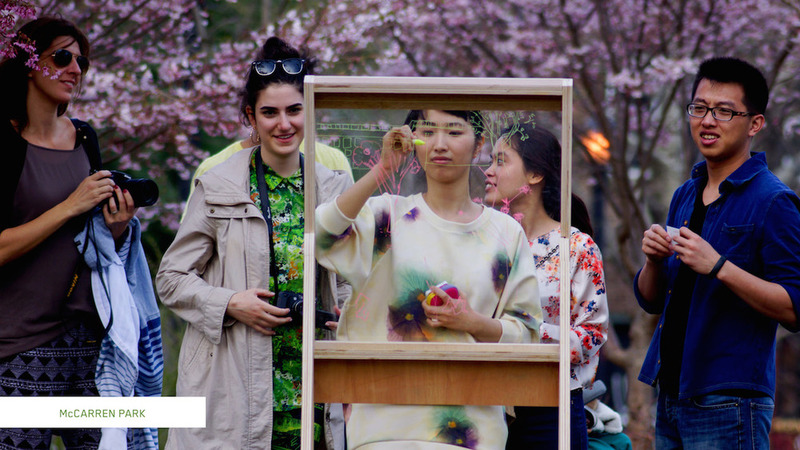 The initial prototyping event took place in McCarren Park in Williamsburg, Brooklyn. 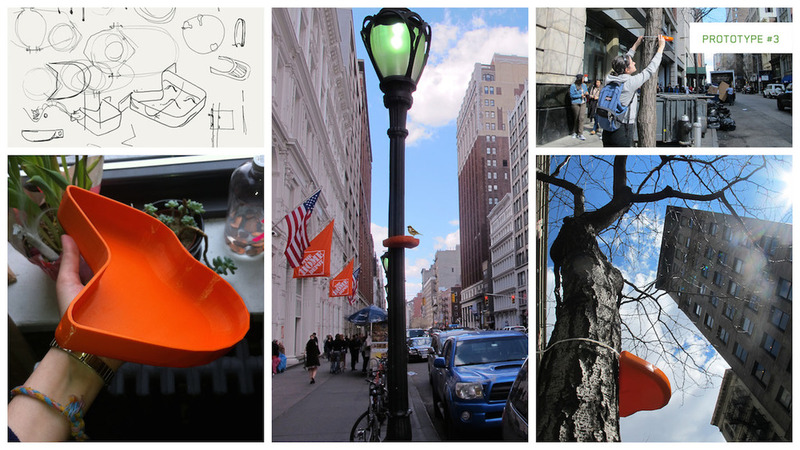 Within Making Change, Rona created design two interventions: Urban Birdbath, and FINCH. Urban Birdbath is designed to elevate a bird’s water source and bathing spot using existing street infrastructure such as street lamps and traffic light poles. The water for Urban Birdbath is provided by rain, and additionally by people who volunteer to fill them up (much as a country-dweller might habitually refill a bird feeder with seed.) The first prototype of Urban Birdbath was hacked with a Chipotle fast-food burrito bowl, including an instruction for anyone willing to participate. A second iteration employed a 3D-printed vessel which was more more sturdy and strong, and also dimensionally flexible to fit different diameters of poles and trees. 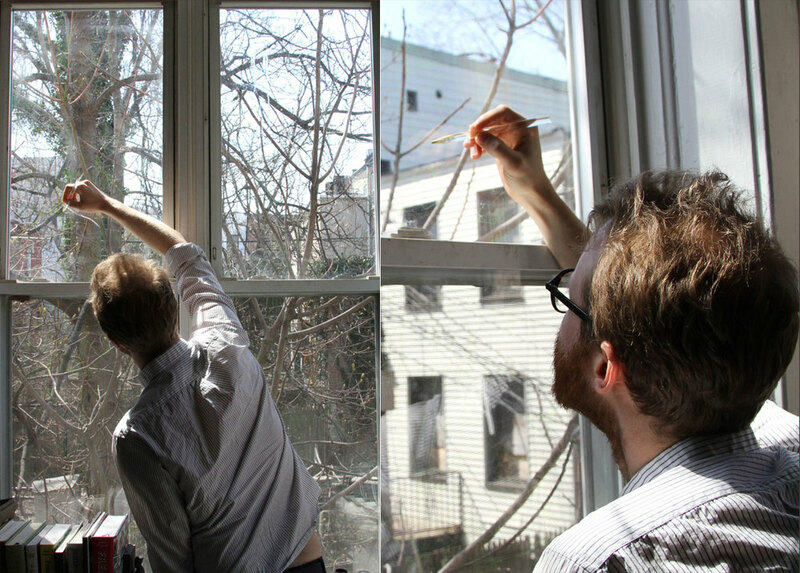 The FINCH pen addresses the urban problem of birds colliding into glass windows. (Following habitat destruction, glass is the biggest threat for birds: Nearly 988 Million birds die annually in the U.S. by crashing into windows.) Current prevention techniques include creating patterns on windows using tape, decals or covering the window with nettings, but since these techniques can affect the transparency of the glass, many users are unwilling to use them. The finch pen is filled with an invisible ink with UV characteristics. 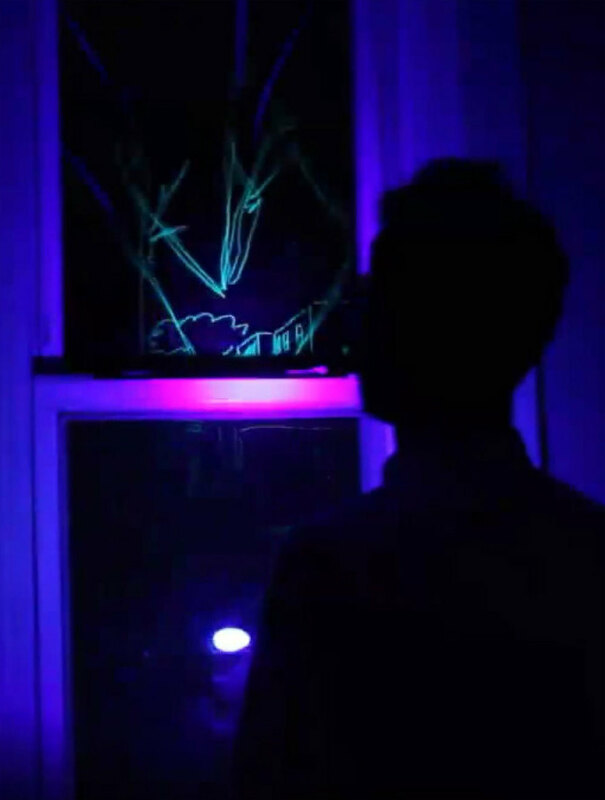 Birds are able to see the UV traces drawn by the human even in daytime—humans are only able to see the ink under blacklight—cautioning them to the window’s existence and precluding collision. In the end, COEXIST argues for the application of design for the benefit all species. 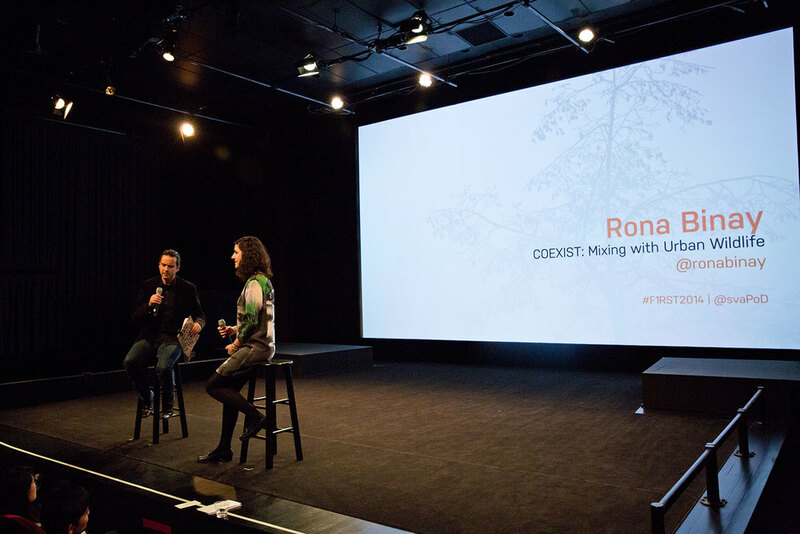 Rona calls this approach ‘nature-centered design,’ taking into account the needs of humans along with the needs of nature. 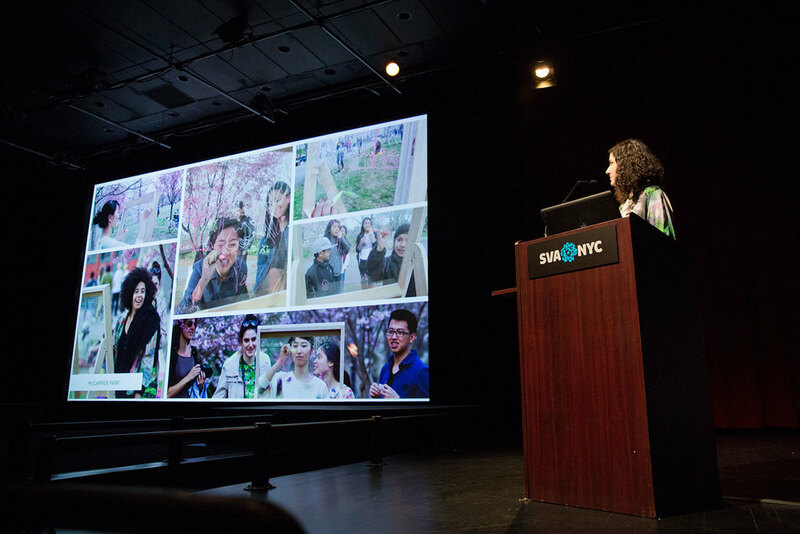 She hopes the work will shift our point of view from egocentric to bio-centric, ultimately helping to envision and create a sustainable and more environmental future. Read more about the project, including subject matter experts and research protocols in the PDF above. See more of Rona Binay’s work at her website ronabinay.com and email her at ronabinay[at]gmail[dot]com.